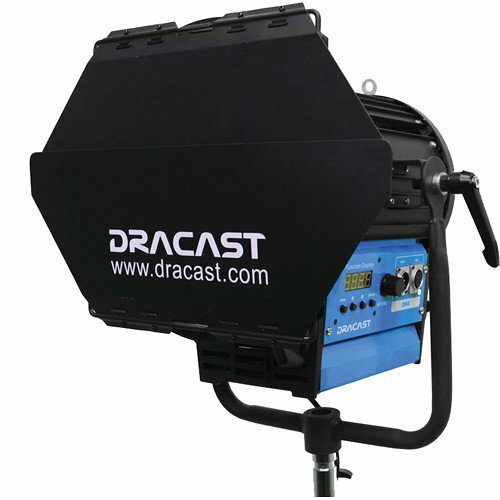 The Fresnel Studio LED1000 Daylight LED Light from Dracast is packed with the latest LED technology backed with solid construction and intuitive design. 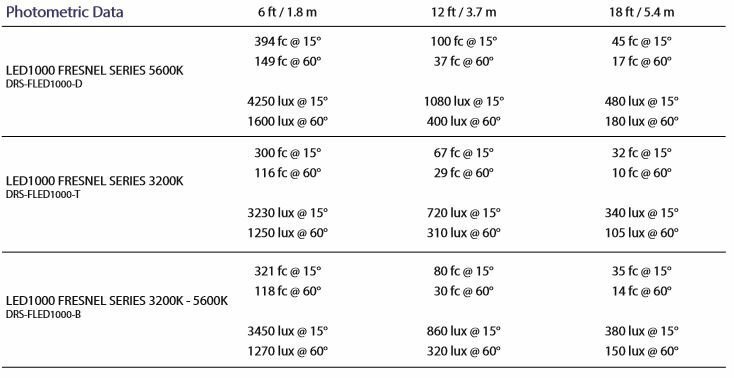 The daylight-balanced light has a Kelvin temperature of 5600K for work outdoors or to match other light sources such as HMIs. Dimming from 0-100% is easily done locally on the unit or remotely via DMX. 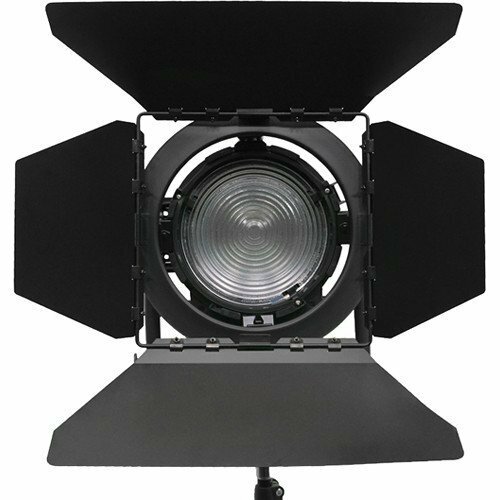 The fixture’s wide 15-60 spot to flood range allows impressive control of the field of light which can be further controlled with the included barndoors. 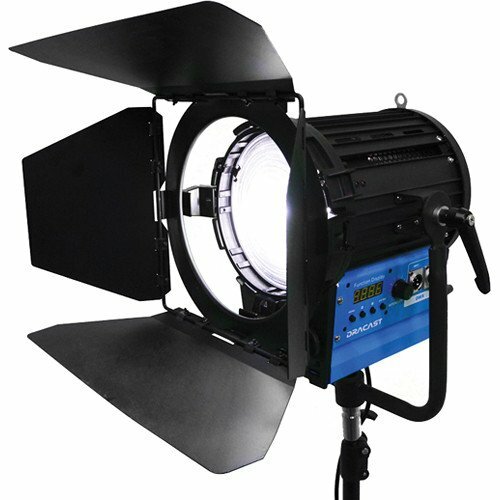 For sound-sensitive situations, the Fresnel 1000 is designed with a completely silent passive heat sink cooling system. 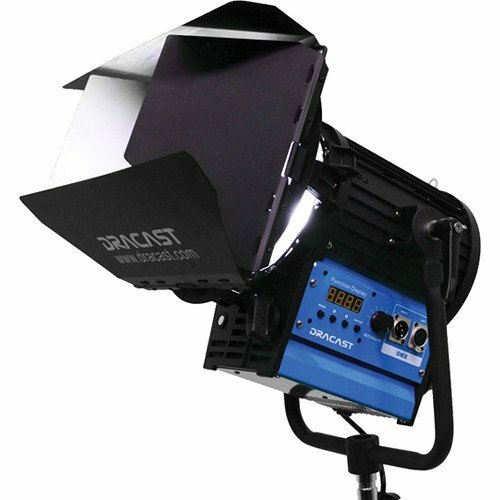 The Fresnel Studio LED1000 outputs the equivalent of a 1000W tungsten halogen Fresnel while running cool to the touch and consuming a fraction of the power, resulting in lower HVAC running costs in the studio and a quick return on your investment. The light ships with a 100-240 VAC power adapter for worldwide use and, with an optional adapter, it also runs on 24 VDC in locations where mains power is unavailable. 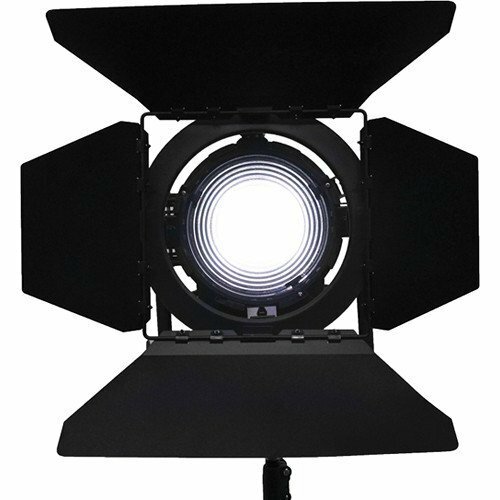 The Fresnel1000 comes with a 5/8″ receiver for hanging or stand mounting. Box Dimensions (LxWxH): 18.0 x 16.0 x 14.0"